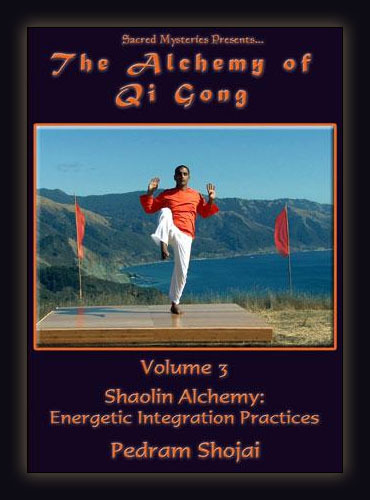 The last in this 3-part series, this DVD delves into advanced concepts in Qi Gong. It teaches the famous Tendon and Muscle Changing as well as the Marrow Washing Classics from the Shaolin tradition. These powerful exercises are designed to integrate the energy flow with the tissues of the body and connect the Attention with the Intention in the practitioner. This level serves as the final preparatory step in the enhancement of energy flow for the student before they delve into the deeper Nei Gong (or internal alchemical work). These exercises cultivate personal power, refine the focus, integrate the Bodymind, and calm the mind. 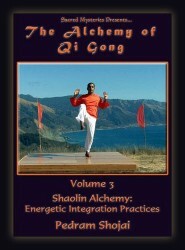 The Shaolin Alchemy is the necessary training training needed to reinforce the lessons taught in the first two volumes of this series. With sustained focus and increased energy available to the student, they are capable of stepping into a life of personal mastery and peaceful tranquility.